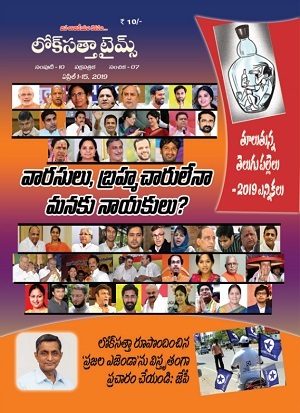 Kukatpally legislator and Loksatta Party national President Dr. Jayaprakash Narayan has taken serious exception to a section of the press alleging that he has spent only 20 percent of the funds allotted to him under the Constituency Development Fund. In a media statement issued here today, Dr. JP pointed out that he spent more than he had been allocated by getting a matching grant from the Hyderabad Metro Water and Sewerage Board. Most of the works for which he earmarked funds have been completed and the rest are in various stages of implementation. He wanted media to ascertain facts before rushing to publish reports that fuel hatred against politics. Dr. JP explained that he was instrumental in getting Rs.1573 crore allotted towards various development works in Kukatpally. Of them, works worth R.956 crore have been completed or in final stages of implementation. In addition, Rs.656 crore will be spent on construction of a flyover at Narsapur Junction and a 220 kv sub-station and Rs.56 crore on a water supply pipeline. Seventy-four additional class-rooms have been constructed and girls’ toilets provided in all schools with adequate space. Dr. JP recalled he has visited the constituency more than 400 times and ensured that development works are executed transparently. He has taken measures to prevent encroachments and protect lakes. He has the satisfaction of making people, irrespective of their party affiliations, partners in Kukatpally development. Dr. JP said that he had got Rs.5.47 crore allocated towards works under the Constituency Development Fund although he had been allotted only Rs.3 crore before the election code came into effect. The allocations included Rs.220.98 lakh towards works under GHMC and Rs.326.86 lakh under Hyderabad Metro Water. Of them, works worth Rs.3.45 crore have been completed and the others are under various stages of execution. Instead, news reports dealt only with community halls which have been stalled because of land acquisition problems. Dr. JP recalled that when he took over as legislator, Kukatpally received 80 lakh gallons of drinking water per day. Thanks to his efforts, it has gone up to 1.80 crore gallons per day, an increase of 125 percent. He got ration cards issued to 34,000 families. He enabled nearly 4000 people to get job placements after helping them get training in skills. Sanitary workers now get their wages credited directly into their bank accounts, again because of his initiative. With the GHMC extending online payment all over the city, nearly 30000 workers have been liberated from exploitation by contractors. Dr. JP underlined that although the Loksatta has been elected only from Kukatpally, it has earned distinction by developing the constituency in an unparalleled manner. It has provided growth opportunities to all irrespective of their caste, region, region, language and economic status. It has succeeded in enhancing the prestige of the Assembly. The Loksatta’s track record is there for everyone to see in Kukatpally, Dr. JP said and added that given an opportunity it can replicate the development model all over the State. 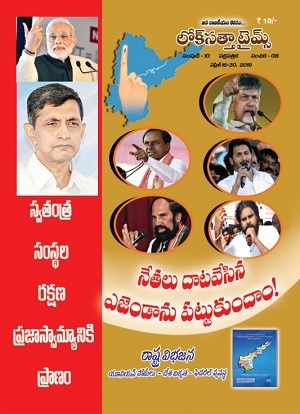 People who in general thought that a vote for the Loksatta would go waste elected only one from the party to the Assembly. Kukatpally demonstrates that Loksatta politics will ensure a bright future for all.